Judges for the 2018 Gold Nugget Awards have named Silverstone Healthcare Company as an Award of Merit winner in its annual competition, which honors architectural design and planning excellence and draws entries from throughout the United States and internationally. Silverstone Healthcare Company) earned its Merit honors for HarborChase of The Park Cities which was honored for Best Service Enriched Senior Community/AL/Memory Care. Located in Dallas, Texas, HarborChase of The Park Cities is a luxury assisted living and memory care community dedicated to providing state-of-the-art services to discriminating seniors. The community offers a complete lifestyle to its residents, with a variety of dining venues, fitness and spa facilities, meeting facilities, recreation and programming area and indoor and outdoor community spaces. The eight-story Georgian-style building, 134-unit community is well located in an affluent neighborhood with ready access to the Dallas North Toll road and greater Dallas. Now in its 55th year, GNA is the largest and most prestigious competition of its kind in the nation. It honors design and planning achievements in community and home design, green-built housing, site planning, commercial, retail, mixed-use development and specialty housing categories. Winners this year were chosen from over 600 entries from around the world. Please see the Gold Nugget Awards website. Gold Nugget Awards — Recognizing those who improve our communities through exceptional concepts in design, planning and development. 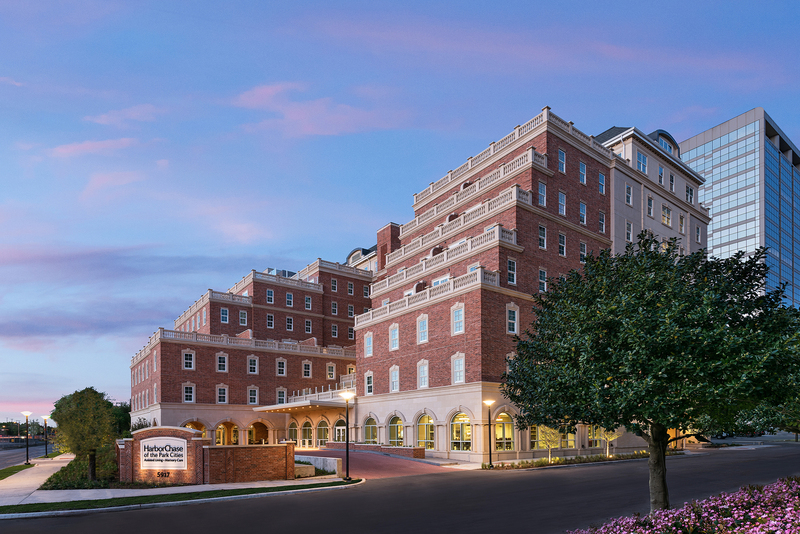 Silverstone Healthcare is an owner and developer of high-quality, Class A senior housing communities focused on providing state-of-the-art independent living, assisted living and memory care services in Texas, Florida and the Mid-Atlantic states. Silverstone Healthcare website.